How can you create the perfect, modern home? What is the contemporary style? You will find newly built homes and people who enjoy spending money on their home’s appearance, undergoing home improvements that achieve a contemporary style. Contemporary practically means ‘new’ and ‘living in the present’, so in other words, if your home improvements are new, you have achieved something contemporary. But, many people enjoy making their home look as good and new as it can be and this where homeowners start investing in modern installations and replacements to keep up-to-date. Everyday home improvement technology and products are being tested and improved to help homeowners achieve the best energy efficiency, aesthetics and functions and this is where new home improvements are made for people who desire contemporary styles. Aluminium wins this debate. Although PVCu look nice and provides excellent energy efficiency, aesthetically you will need aluminium windows to match that door and roofline of yours. Aluminium is a growing home improvements, although many homeowners have not yet chose to invest in this model, people who like the look of a modern home have reaped its many benefits. However, despite aluminium winning aesthetically, PVCu windows are the most modern advancement towards achieving the best energy efficiency. If you want to improve your home in terms of today’s most recent functional advancements then PVCu windows are for you. 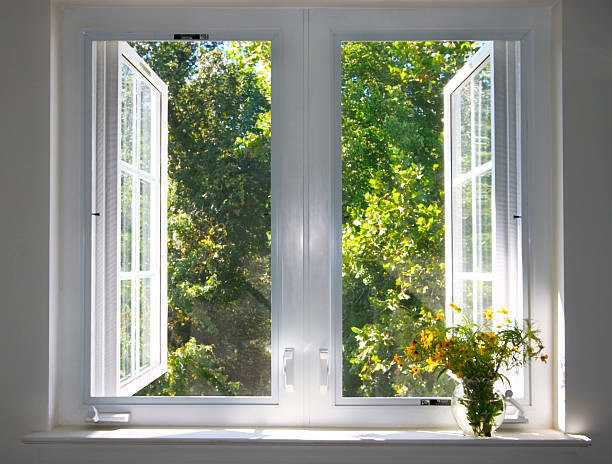 Our double-glazing prevents draughts and lowers your winter energy bills dramatically. All of our windows are future proofed so you can expect them to last good for years until the next developments for hoe improvement arrive. 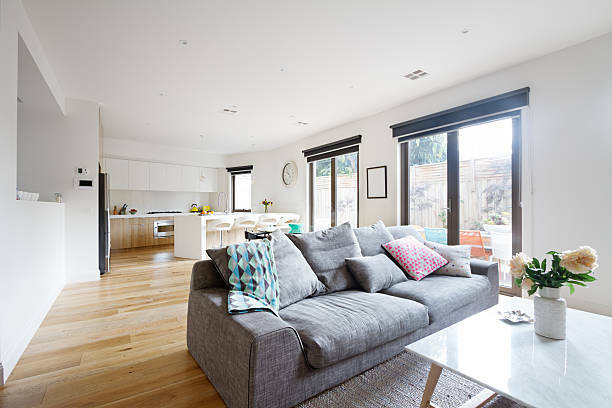 Whether it’s an aluminium window or a PVCu window you choose, we can help you find the perfect one to complement your home and achieve an effective contemporary style. Lets start with the main entry in and out of your home, doors are the first thing your visitors interact with when it comes to your home, therefore it is one of the most important factors to consider adapting if you want to keep a ‘contemporary’ style. Your best option to help you create a modern style would be the introduction of a composite door. Everyone who has heard of a composite door is usually instantly pushed away by the price tag, but you can find many contemporary styles for a competitive price. If you want to achieve a modern look then you need to keep colours cool and the design elusive. A black, grey or white composite door would create an excellent sense of ‘sophistication’. You can choose to invest in something more colourful however it may be hard to coordinate the door with the rest of your home. 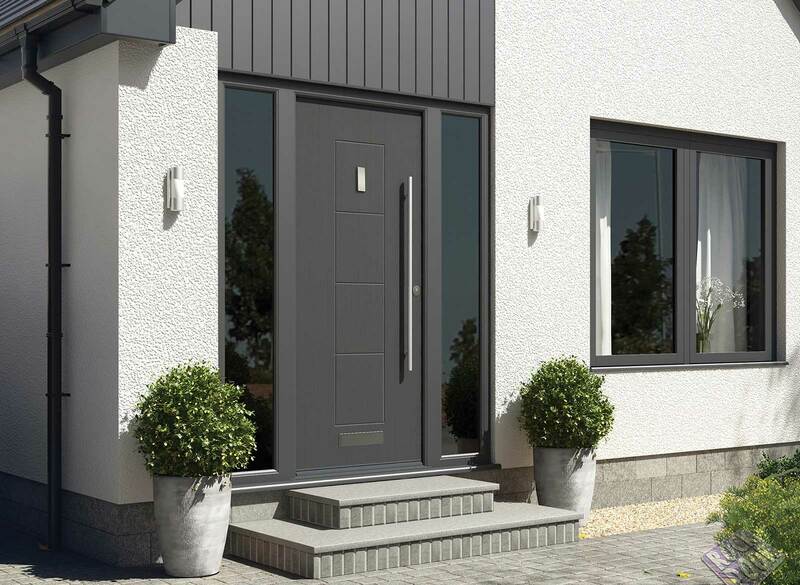 A stable composite door is also a very common way to promote contemporary, this is because this style is not presently common so if you own one, you are up-to-date with the newest of door designs. Composite doors aren’t just effective aesthetically; they also offer the best energy efficient properties that any door possibly could. If you want to achieve lower energy bills and a warmer home throughout the colder months then a composite door is practically your best option. Have you now received a better insight into the best eye-catching home improvements for you? Well, we hope we have given you some useful advice. Elite Windows supply all home improvements mentioned in this blog, we help homeowners all over Peterborough and near areas achieve their ideal home style. Contemporary homes have always been eye-catching; it’s just been something about their colour coordination and interesting design that gets visitors and passers looking twice. If you want to create a home, which reflects the modern or futuristic idea of homes, we can help you get there. If you are looking for a conservatory yet want to keep your home looking contemporary, we would highly recommend looking at the Gable and Lean-To conservatories. Both these conservatory styles are stylish and simple. Lean-Tos are small and convenient and have a simple, multiple panel structure so they provide a more modern appearance. Gable conservatories, on the other hand, are a beautiful architectural build; these conservatories stand out and effectively make your home look new and improved. Our conservatories particularly are available in a range of finishes, including anthracite and rosewood finishes, helping homeowners to achieve their ideal contemporary look. Everyone has their own preferred style some people look to follow a vintage look whilst other homeowners may prefer a stylish, sophisticated appearance. However, Elite Windows have put together a blog to help its customers achieve an effective contemporary style with help from the home improvements in which we provide. Keeping up with the modern vibe can be difficult at times and expensive for that matter, however with our competitively priced services we can help you achieve a beautiful, modern look for your home which will catch the eye of any visitor. From your windows to your doors, there is that perfect model for you that will help you reflect and pursue that contemporary style you always hoped to achieve. Following modern home improvements, we will guide you through the models that will best reflect a contemporary style and keep your home look new and improved with modern advancements.